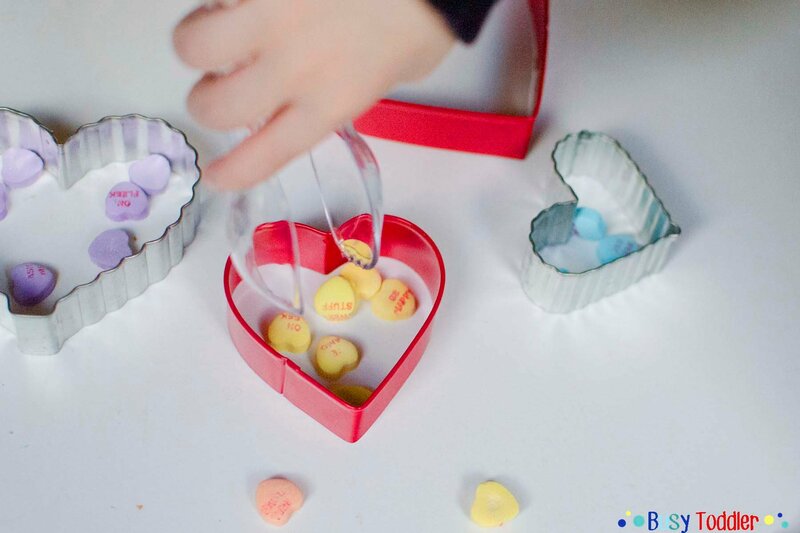 A Valentine’s Day sorting activity using Conversation Hearts. Nothing says Valentine’s Day like conversation hearts, am I right? It’s the signature candy of this holiday and it’s perfect for a toddler activity. 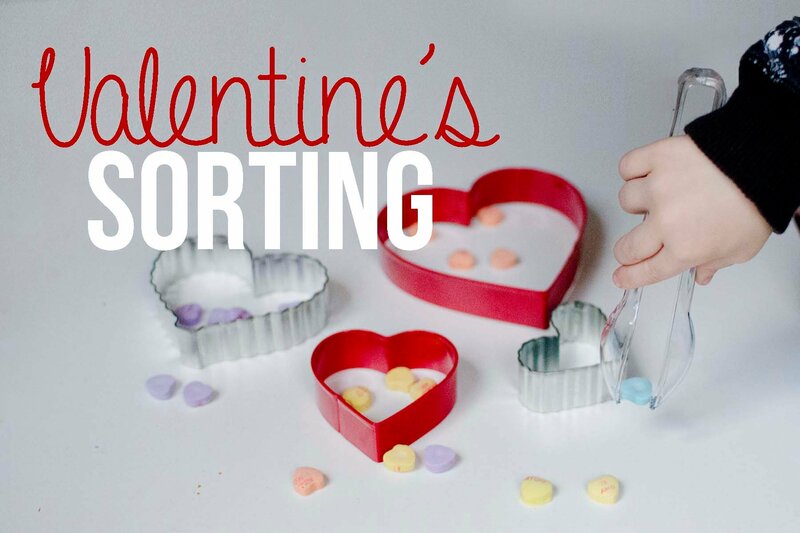 A Valentine’s Day sorting activity is just what we needed to get into the holiday spirit. 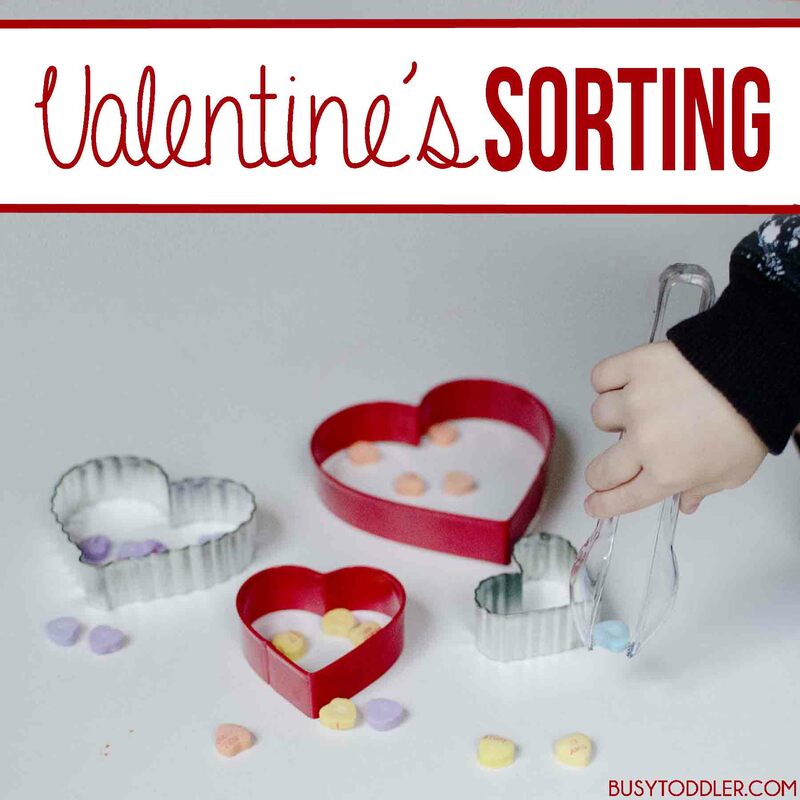 Setting up a simple Valentine’s Day sorting activity is a breeze. This activity was so very easy to set up. I dumped out one box of Conversation Hearts for my toddler to sort. 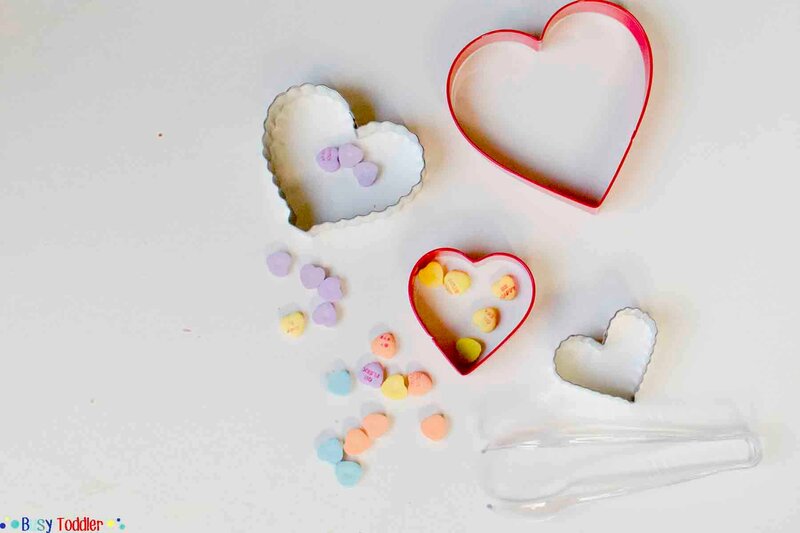 I had him sort the candy into these cute little heart shaped cookie cutters for added Valentine’s Day fun. With a pair of our beloved plastic tongs in hand, it was time for my tot, Sam, to get his sorting on. There was two great things going on with this Valentine’s Day sorting activity that I absolutely love from a learning stand point. 1.The fine motor skills. Pinching and grasping are terrific skills to practice and Sam is doing a wonderful job here. He’s demonstrating grip strength with his ability to control the tongs. Using tongs is such an easy way to beef up any toddler activity. I’m addicted to them. 2. The sorting. Sorting is a math skill and an important one. When a toddler sorts, they are classifying information and identifying similarities and differences. They are organizing their thinking and problem solving. 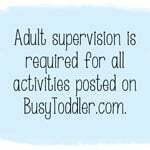 It may seem like a simple activity to an adult, but the toddler mind is hard at work here. 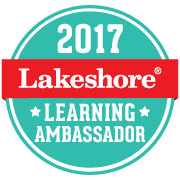 There are so many options for extending this activity. More hearts and more colors would instantly be a greater challenge. 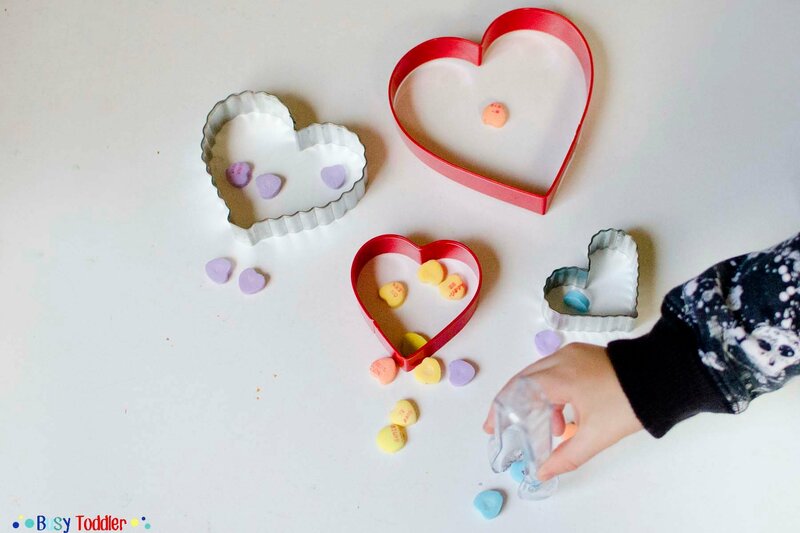 Using smaller heart cookie cutters would also provide a motor skills challenge to drop the hearts into the correct spots. Graphing the hearts at the end to figure out which color had the most and which had the least would also be a wonderful extension. 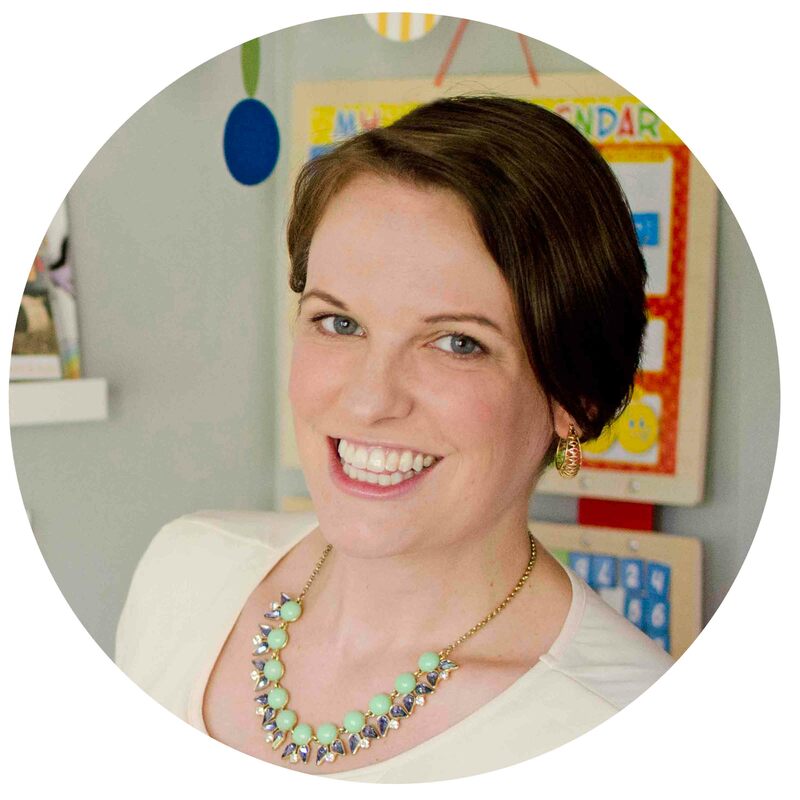 Here’s a post on how to teach your toddler to graph (a simple graph, obviously…). I will admit – from a parent to a parent – that I just wasn’t totally comfortable with Sam eating whole Conversation Hearts at the end. I have a choking phobia and these just seems a little bigger and harder to chew than I’m ok with. Not to worry, we ended our Valentine’s Day Sorting Activity with a little Conversation Hearts smash. That’s right. I gave my toddler a little hammer and let him break a few up. Then, of course, we chowed down. My toddler and I had so much fun with our Valentine’s Day sorting activity. It was the perfect way to kick off February and get us thinking towards Valentine’s Day. Two thumbs up from us! 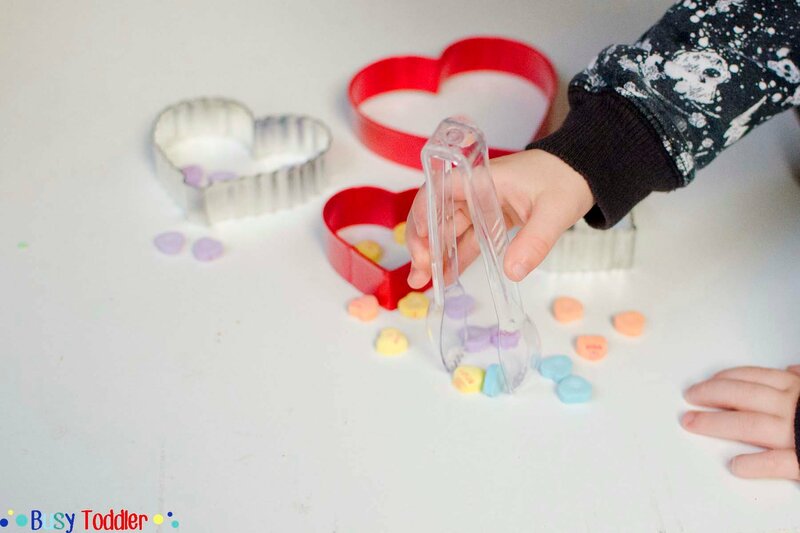 Would your toddler enjoy our Valentine’s Day Sorting Activity? What a cute idea for anyone trying to learn colors or sizes!! I seriously need to get me some tongs!